Generally, it is not so easy to upgrade / replace notebook video cards than desktop video cards. If it is possible and how to actually replace a video card is described in the following article. If you are looking for a concrete example, please also read through the Case Study: Replacing the Video Card of a Dell Inspriron E1705 (9400). 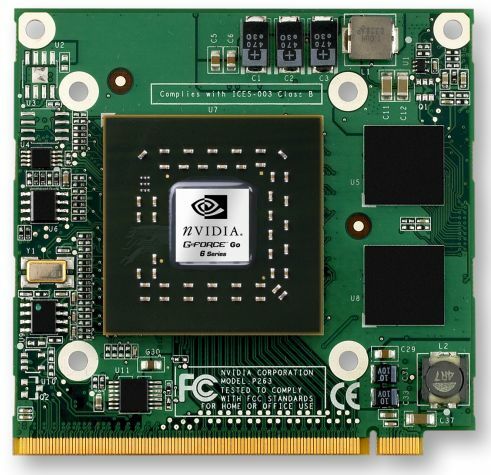 Not before the launch of standardized video card modules by ATI (AXIOM) and above all by NVIDIA with MXM (Mobile PCI Express Module) in 2004, it was possible to exchange video cards in theory. To our knowledge, only some Dell notebooks provided you with the opportunity to replace the video card before that, because Dell constructed a proprietary module, which was used by some of its series. E.g., it was possible to use the video card of a Dell Inspiron 8200 also in a 8100. Therefore, it is nearly impossible to replace video cards of notebooks without MXM, Axiom or "Dell Slot". This also causes problems, if the notebook is to be repaired, because the GPUs and the main board were directly soldered together. So, the whole main board had to be replaced upon a video card failure. 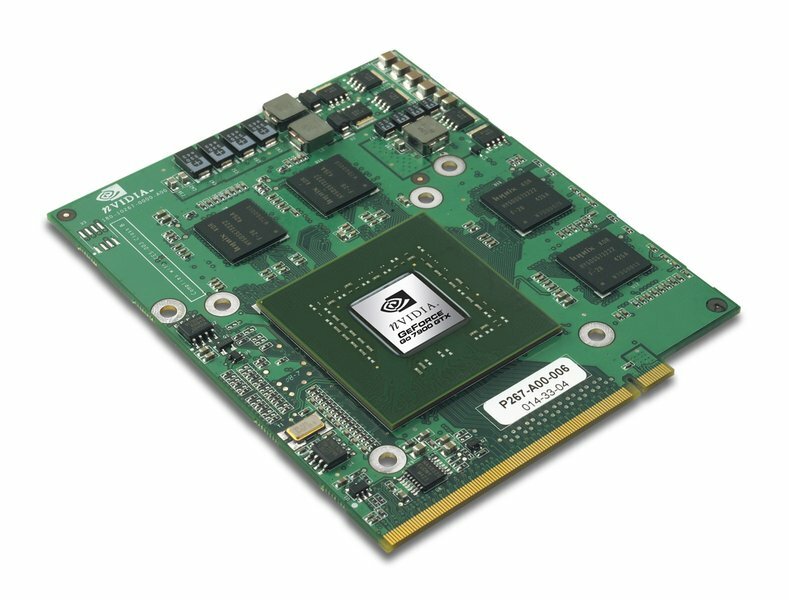 The AXIOM port by ATI was not widely accepted and, therefore, squeezed out of the market by NVIDIA's MXM. The MXM port was not directly designed for upgrading of video cards, but to provides notebook manufacturers with a design standard for their products (and, therefore help saving costs). MXM-I slots are usually only used for low end video cards, e.g., 6200, 7300, X300, X1300 – sometimes also with 6600, X600. Because it is impossible to place further memory at the bottom side, these cards are limited to 128MB RAM. Furthermore, an additional slot (by mxm-upgrade.com) called „Arima Special“ is available, which is actually not compatible with MXM (some MXM-III could nevertheless fit). Attention: Sometimes suitable cards still refuse to work in another notebooks (compatibility is only proved for used video cards by the manufacturer, similar to desktop video cards). You should therefore talk about a possible return or insist on a certification of the compatibility before actually buying. Remove the screws and look whether the video card is in a MXM slot. It's hardly possible to upgrade any of the on-board video cards, e.g., Intel GMA 950, ATI Xpress 200m, because they are directly soldered to the chip set of the main board. However, there is a chance, if this notebook model is/was also available with MXM video card, than there could be an empty MXM slot available. Even video cards which are not attached to a MXM slot and also not integrated in the chip set (on-board video chips), are still often directly placed on the motherboard and can, therefore, also not be replaced. Search for MXM at Ebay. Mainly low end video cards are offered there (such that remain after an upgrade). At mxm-upgrade.com you'll find some tutorials regarding this topic. In theory it is sufficient to simply replace the card (first you need to remove the heat pipe), because the card is only inserted in the slot and screwed. However, in practice you can face troubles with incompatible coolers and other incompatibilities. It is not easy to upgrade / replace the video card of a notebook. In case the notebook provides an upgrade possibility at all (in practice only, if the card is inserted in a MXM slot), buying the desired video card is an additional barrier. Sometimes, only looking at Ebay might help. Alternatively, the XG-Station by Asus will be available in future, which allows to plug an external video card for laptops. The XG-Station is attached per Express Card slot (therefore, older notebooks are excluded) and runs only with PCI Express 1x and, therefore, with reduced performance.